Well despite saying that I was going to work my way through The Great British Bake Off book in order (see here), after only two recipes I had to skip ahead. Last weekend I wanted to have sausages in buns for dinner and there was a recipe for a poppyseed bloomer and buns on p.61 so I made it instead of the digestives that were next on my list. I will make the digestives this weekend instead. 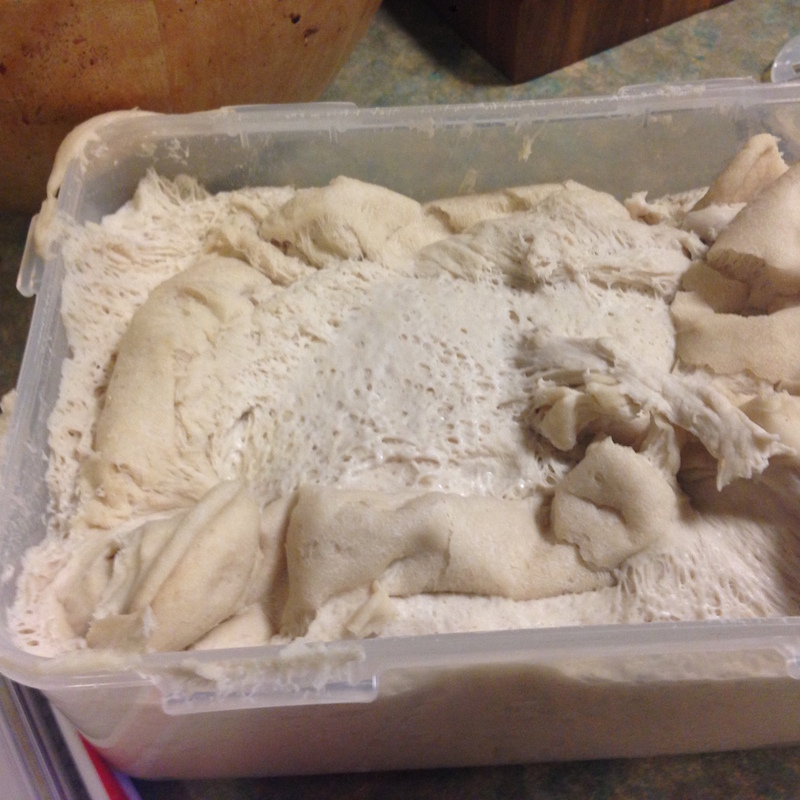 Firstly, I put the first batch of dough in a tuperware with the lid on – as instructed (and also on the radiator – this may have been my mistake) and it virtually exploded – the lid bulged outwards so I removed it which did make the dough go a bit dry. However, if I am honest the main mistake occurred just after I started mixing the first batch of dough in my mixer. The knackerman came (see here) to kill our last Suffolk sheep and I went out to be with the sheep while he killed it. I then ended up listening to his extraordinary tales of turkey insemination (I have led such a sheltered life) – all I can say here is that our turkeys do it themselves which is apparently not the norm – another entry for my rubbish job list that I can contemplate when having a bad day! This meant I probably kneaded the dough in the mixer for about 45 minutes or an hour – this is not in the recipe and is probably not recommended. Actually it is definitely not recommended – in the front of the book they say that over mixing the dough will stop it being elastic and rising – they consider anything over 5 minutes in a mixer to be over mixing. And yes, I left my mixer on while going out to watch the knackerman kill the sheep – duh to me. I also nearly blew up my mixer in the process, but I digress…. here is the recipe for the bread which was nice, but will probably be amazing so long as next time I make it I don’t get distracted by killing things. 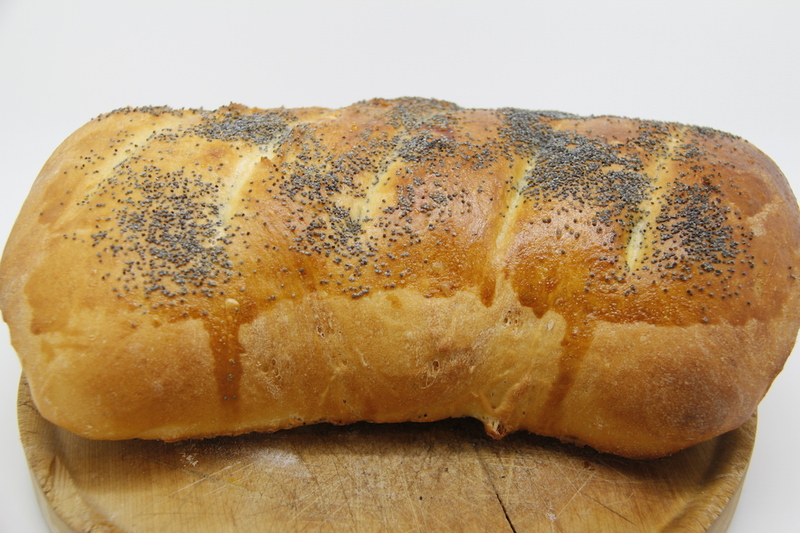 Poppyseed Bloomer and buns: 1.5 kg of strong white bread flour, 2x7g sachets of yeast ( I used my dove yeast that I reconstituted instead), about 900ml lukewarm water, 25g seasalt, poppyseeds. 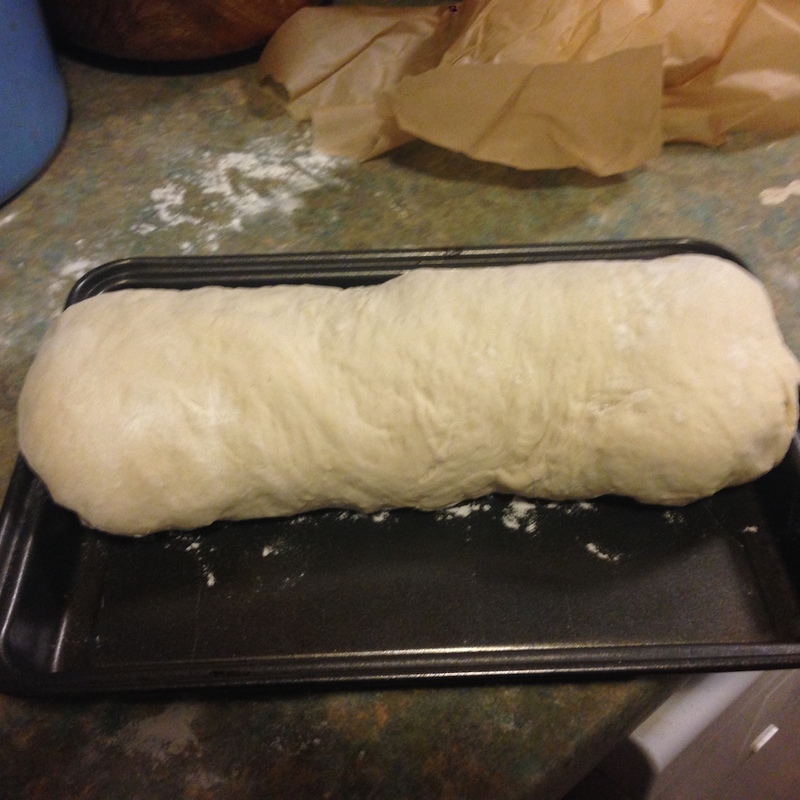 Put 1kg of flour into a mixer, add one packet of yeast and 600ml of water. 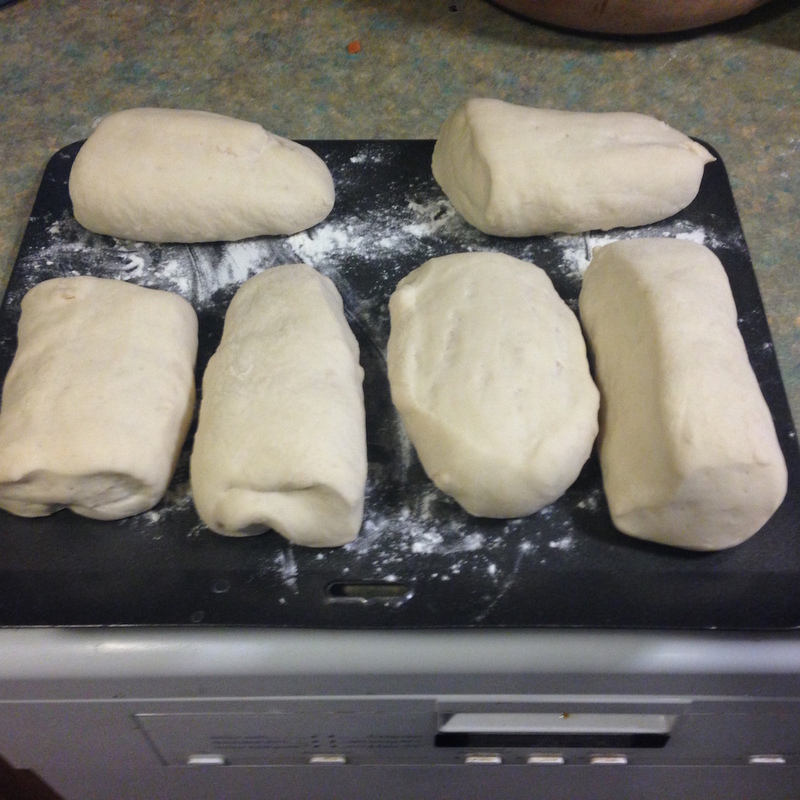 mix to a dough then knead until smooth and elastic. 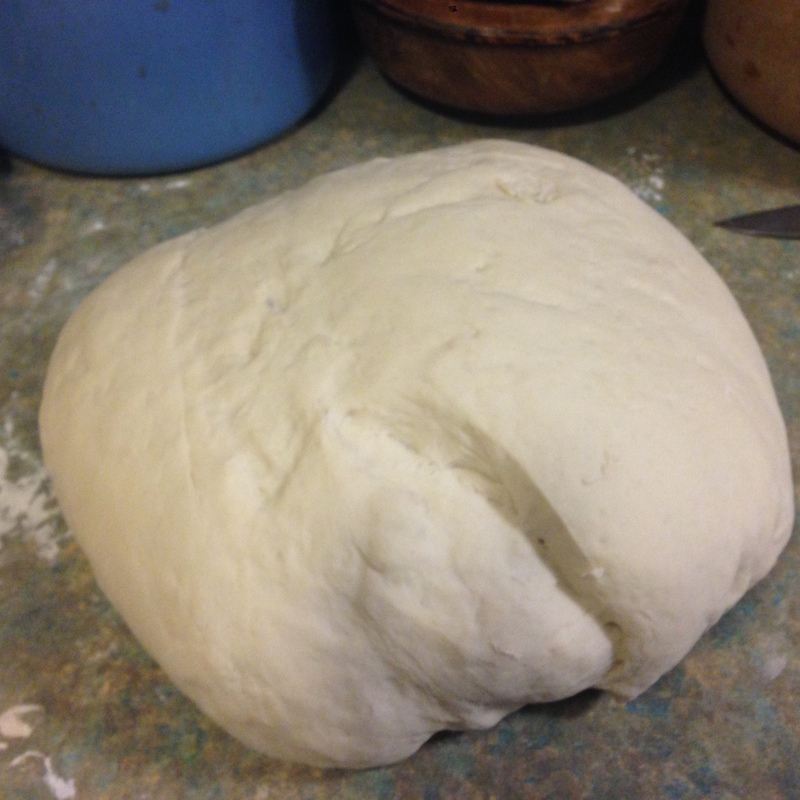 Put dough in a bowl and cover with a lid or clingfilm and leave for 4-6 hours (I will put in in a big bowl and cover with clingfilm next time instead of a small tuperware box – what was I thinking?). Mix 450g of remaining flour with packet of yeast, salt and 300 ml of water. Add first batch of dough to this one – at this point it all came out of my mixer but I shoved it back in. Knead for 5 minutes, then turn out and leave covered with a tea-towel on the work surface for 15 minutes. 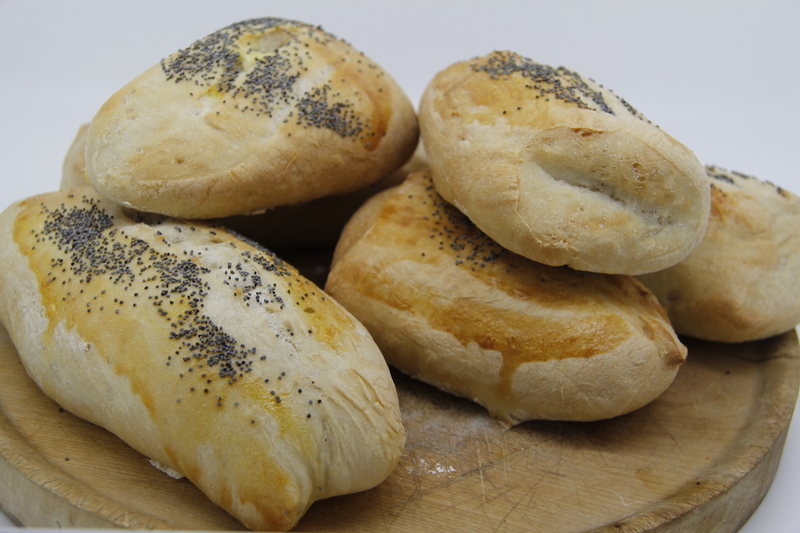 Cut the rest of the dough into small portions and shape into buns. Pop on a tray and cover and leave to double in size. Just before cooking paint with an egg wash, slash the dough a bit and sprinkle over poppyseeds. Put bread in oven and pour some cold water in roasting tray, then shut the door. make bread for 35-40 minutes until golden and the loaf sounds hollow when you tap the bottom. Cook the buns for 20-25 minutes. N.B. I also realised I have been using my Dove yeast all wrong for years as I have been chucking it in as if it was instant yeast and not reconstituting it – my life is one chaotic learning curve! Maybe a chaotic learning curve, but what a wonderful life you live. Thank you, it is wonderful and I love the learning with all its ups and downs! Thanks Sheena – it is also good to know I am not the only one as well – I wondered why my bread always seemed a little more dense than I thought it should! 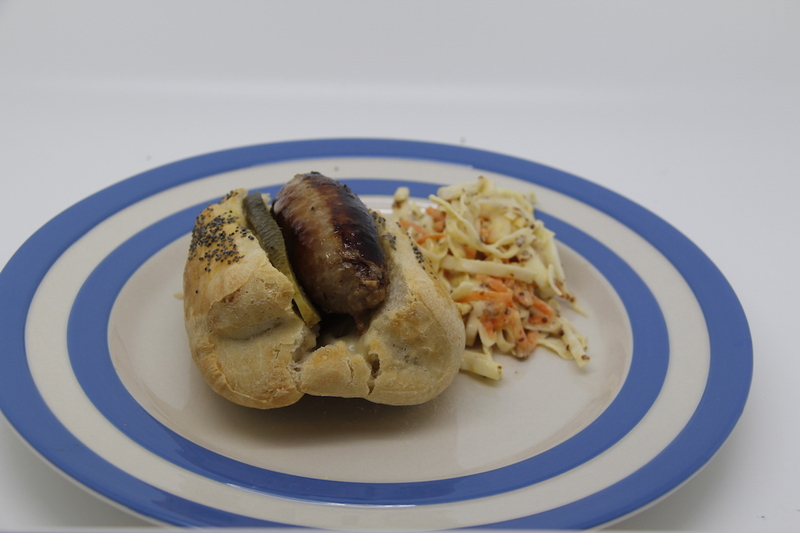 Despite the buns not being as fluffy as they could be they were good with the sausages. You always make me smile with your blog posts. Thank you for being so honest all about the chaos in your world that leads to such rich experiences and fabulous story telling. You are a highlight of each of my days. Much love. Doughy problems or no, the outcome looks very appetising!